West Bengal chief minister Mamata Banerjee is cocking a snook at the Constitution . Back in the late 1980s, when Doordarshan was the sole television network in the country, there was a German entertainment show (dubbed in English) which became very popular. Its name was Didi's Comedy. The title of the programme came rushing back to mind last evening after India's very own Didi, Bengal chief minister Mamata Banerjee, orchestrated her drama in central Kolkata to apparently “save the Constitution". The only difference was that it was not a comedy show. Rather it was tragicomic. For the uninitiated, Banerjee has been staging a dharna (sit-in) against the attempts by the Central Bureau of Investigation (CBI) to question Kolkata Police commissioner Rajeev Kumar over his alleged connection with the multi-crore Saradha and Rose Valley chit fund scams. The Kolkata Police have taken the CBI officers into custody and there is a huge standoff between the two. The Saradha and Rose Valley chit funds are old-fashioned ponzi scams. Public money, worth over Rs.2,500 crore and over Rs.15,000 crore respectively (a conservative estimation), were scammed away. Moreover, links between several top leaders of the ruling Trinamool Congress and the scams have already been established. Banerjee’s government had set up an SIT, under the leadership of Kumar (the police officer the CBI is hunting down), to probe the two scandals. But since the case involved multi-state investigations as lakhs of investors from Bihar, Assam was also duped, the Supreme Court ordered a CBI investigation into the case in 2014. Another reason behind this decision of apex court was the alleged involvement of prominent TMC leaders. The CBI has so far filed over 80 charge sheets in both the cases. The noose is being tightened around several top TMC leaders and a couple of its MPS too were arrested in the scam. The CBI has been wanting to question Kumar, as it feels that as the chief of the now-defunct SIT he had acted in support of the TMC leaders. Many documents crucial to the investigation may also have been gone missing under his leadership. With the CBI continuing to up its ante in the investigations, a rattled Banerjee had earlier (last year) withdrawn the general consent for the CBI to operate in her government’s territory. For the record, Andhra Pradesh is another State that took back such a consent last year. The withdrawal of the consent in itself showed how irresponsible the TMC government is. Moreover, it became clear that Banerjee’s motive was to put as many impediments as possible in the course of the probe. But Mamata and her supporters would do well if they had read up on the legal nitty-gritty in the matter. One, the withdrawal of consent works only prospectively, and never retrospectively. In simple words, the taking back of the consent is infructuous for a case in which investigations are already on. Two, in a previous case in 1994 involving the Sikkim government, the Supreme Court had categorically stated that such a withdrawal of consent should not be used to stop the progress of the probe in an ongoing case. In this event, it is ludicrous that Banerjee is crying wolf that the CBI action is an assault on the Constitution. If anything, it is her petulant intransigence that is causing more damage to the Constitutional bulwark to the states-centre relationship. 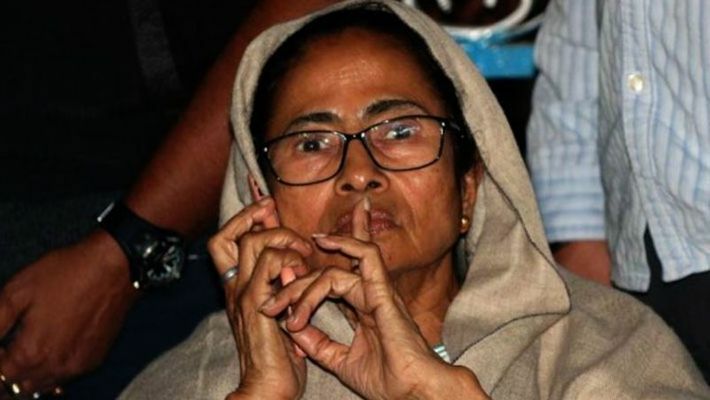 The sit-in stir reflects how seasoned Banerjee has become in competitive politics and how she has grasped the importance of the metrics in these matters. But it is basically brinkmanship at play: a leader with a penchant for theatrics making a mockery of well-established rules and laws. The double-act of the Congress is also sickening. In Bengal, the Congress is fighting the TMC in the chit funds scams. One of its leaders fought in the courts for ordering the CBI probe in the Rose Valley scam. For Rahul Gandhi to now offer support to Banerjee smacks of desperation. At a time when the non-BJP government states are looking at the Centre with some suspicion, it is easy to invoke the idea of federal independence. There is indeed, in general, a good case for more free space for states to operate. But that is a different battle for a different day. On the contrary, the problem that lies at the other end of the spectrum. The central intervention would not have happened had the state government carried out its work in a fair manner. Having failed to carry out its responsibility then, what is the point in shedding crocodile tears over lack of federal power now? Mamata didi, your slip is showing. Also, didi, your show is slipping.